U-Design 2.4.8 newest version : Released on June 24th, 2014. 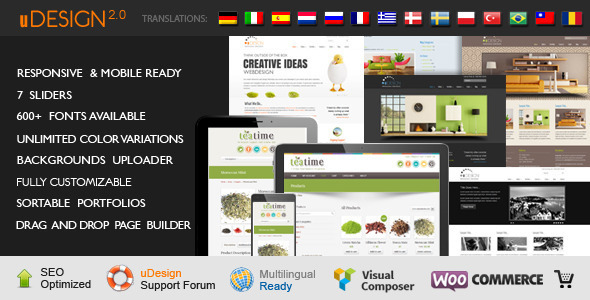 The theme is now compatible with WooCommerce 2.0+ !! Note: the U-Design – WooCommerce Integration has been implemented as an independent plugin. For more information please refer to the theme’s support forum or contact me directly. A demo site has been setup HERE to demonstrate the U-Design – Woo Commerce plugin integration.